1. Everyone is required to register in the Protected Area Office (PAO) before hiking to sign a waiver. Those who fail to comply with this will not be issued a permit, and will not be given a climb certificate. 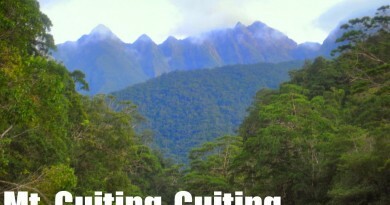 This requirement covers all hikers, including those who are doing a Guiting-Guiting traverse. 2. It is highly recommended that hikers arriving by ferry would proceed to the market to buy supplies, then to Tampayan proper to secure guides. The tricycle ride is P300/way. The official jumpoff is the DENR Park Office. 3. Entrance fee is P300 for local and foreign visitors. Lodging at the Protected Area Office (PAO) Complex is P500/room/day (maximum 3 persons) or P200/person. 4. Guide fee is P1,000/day for foreigners, and P800/day for Filipinos. Porterage fee for foreigners and locals is P600/day. 5. For the regular trail (via Mayo’s Peak to summit), the required ratio is 1 guide and 1 porter for 1-5 mountaineers. 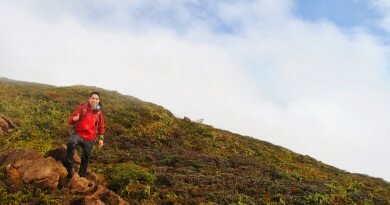 For the traverse trail, the requirement is 1 guide and 1 porter for 1-3 mountaineers. You can access the permit here and more details about the new fee schedule here. These updates will also be reflected in the Mt. Guiting-Guiting page in PinoyMountaineer.com. 11 Comments on "Mountain News: New policies and updates for Mt. Guiting-Guiting"
nope. required talaga may guide. Nope! kaylangan ng guide. Alam ng kasama mo na nakaakyat na hindi pwede walang guide sa G2. Mga Sir ask kolang kung puwede bang hindi na mag guide kung may kasama kaming nakaatyat na. Sobrang astig to! Although It really cost a lot, my experience was well worth it. I got what I bargain for and more, cuts and bruises plus a minor sprained left ankle(twisted it just before we crossed the river near DENR). But its all good! Please follow the guidelines imposed by the PaSu. It is required to go to the PAMB for registration. If you are taking the Olango, San Fernando-Tampayan, Magdiwang route, you still need to go to the PAMB office and personally register. Mang Remy does not inform mountaineers that PERSONAL APPEARANCE is a must, and he still allows mountaineers to camp at the summit.